Matz was drafted by the New York Mets in the second round of the 2009 MLB Draft from Ward Melville High School in Long Island. Before even making his professional debut he underwent Tommy John Surgery which kept him out for the whole 2011 season. Matz finally made his debut in 2012 with the Kingsport Mets where he had a 1.55 ERA in 29 innings. 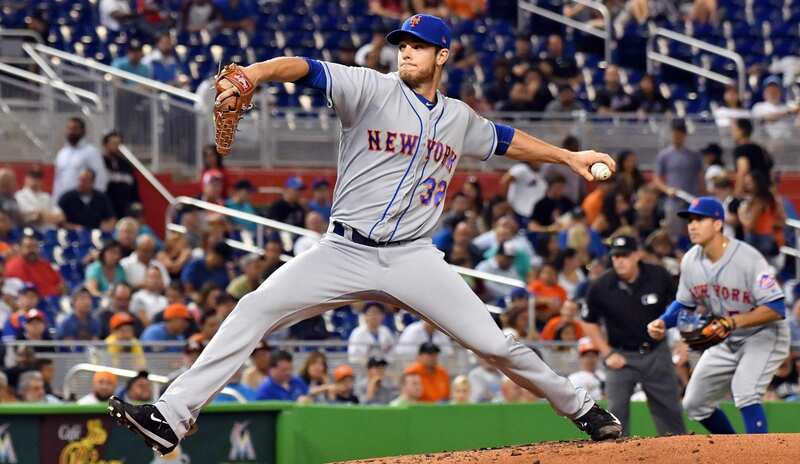 How has Matz found success? Going into the 2013 season he replaced his slider with his curveball and found success with it. With the Savannah Sand Gnats, he made 21 starts and had a very nice 2.62 ERA, which earned him an All-Star selection for the Mets organization and the nine spot on their prospects list. 2014 was another strong year for Matz as he split time between the St. Lucie and Binghamton Mets and made 24 starts with a 2.24 ERA. He was also an organization, Florida State League and Double-A All-Star. He was also named the organization’s pitcher of the year, the top spot on the Mets prospect list and number 15 on the MLB prospect list. 2015 was a big year for Matz, where after putting a 2.05 ERA in the minors he earned a call up to a Mets team that was in a pennant chase. Matz helped lead that team to a World Series birth going 4-0 with a 2.27 ERA. Other than being sidelined in August with a shoulder injury, Matz had a 2016 season going 9-7 with a 3.40 ERA in 22 games. Matz would finish tied for sixth in the Rookie of the Year voting. Just like many of the Mets pitchers in 2017 he did not live up to the high expectations he had and was often injured. He only pitched for a little over two months and had a horrible 2-7 record with a 6.08 ERA. Matz reported to Spring Training hoping to start with a clean slate but has struggled so far. Matz has made two starts but only pitched 1.2 innings and allowed four walks, eight hits and ten runs. In his last start against the Washington Nationals, he could not make it out of the first inning. With every other option the Mets have to start pitching better than him he is likely heading to the bullpen. He still has time to right the ship but if he continues to pitch this bad it would be no surprise to see him start the season in the minors.